actual worm is somewhere underneath all of that mouth structure. The species isn't threatened at all. 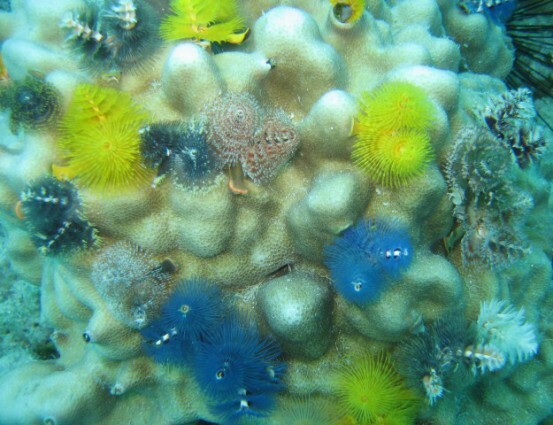 The only commercial value to humans is in people having them in large aquariums that can hold a bit of coral reef. They are also a favorite of underwater photographers due in part to their colorful appearance and their abundance. The "trees" are made up of small, feathery tentacles and, while they are gill structures, they are primarily appendages of the mouth. The function is to collect prey and funnel it down into the creature's actual mouth. 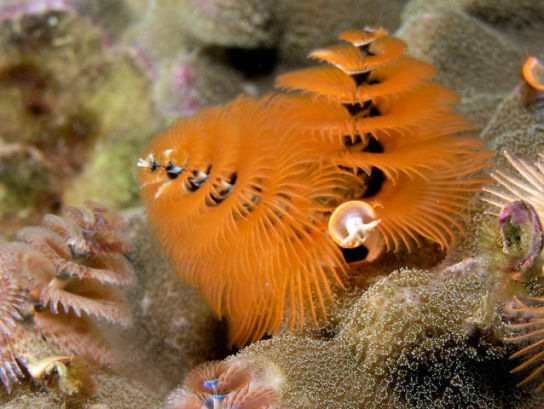 The worms are not very mobile and bore tubes into coral that they can tuck into in case of danger. Okay, maybe these critters aren't all that fugly, but I still wouldn't want to cuddle up with one on the couch while watching TV. The Rise Of The Jelly-Franken-Fish! Christmas Is Here -- No Trout About It!